We talk a lot about “blending” here at Personality Hacker. Blending is the phenomenon when an iNtuitive in the Myers-Briggs system pretends to be a Sensor for the sake of not ruffling feathers and being acceptable. Of all of the N types in this system, it may be the ENFJ type that has the easiest time blending. This isn’t a good thing. But it’s totally understandable and maybe even inevitable. For those of you that are ENFJs reading this: I’m going to do everything I can in this article to talk you out of blending. I’m also going to explain why you may have Monkey Mind, why other people may take you for granted, why you reach for the cookies when you shouldn’t, and why you sometimes can get a little bitchy (especially toward yourself). To get inside the experience of an ENFJ it’s important to acknowledge how they relate to the world and how the world responds back. 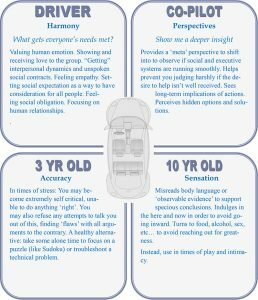 In our car model, an ENFJ’s Driver is Harmony. Harmony is the process that naturally understands relationships, interpersonal dynamics and social systems. At its best it wants to get everyone’s needs met and create win/wins. The Co-Pilot process is Perspectives. Perspectives is the process that helps ENFJs watch their own minds form patterns, get inside the minds of others and allows them to see implications far into the future. The 10 Year Old process is Sensation. Sensation, when done well, is how we stay present in the moment, and process the extraordinary amount of sensory detail that is coming at us at all times. It’s also where we get in touch with what gives us an adrenaline rush and how we improvise with our bodies. The 3 Year Old process is Accuracy. When done well, Accuracy is the part of us that asks, “Does this make sense?” It scans for incongruities and/or when information doesn’t add up. It seeks truth without judgment. From a very early age the Harmony process is riveted by people’s responses to each other. The Harmony user is highly aware of how their actions impact other people emotionally. An example is: I brought flowers to my mom and she smiled. I didn’t share my toys and the other kid cried, but when I shared my toys they were happy. And so on. As the ENFJ’s world expands so does the Driver process. The Harmony process gets more sophisticated over time, eventually taking in complex systems of interaction that we’ll call “culture.” This can mean the culture of a room (who’s high status, who’s low status, who’s got a crush on whom, etc), all the way up to the culture of nations. Getting people’s needs met becomes top priority, since that’s how we help manage everyone feeling at their best. In order to maintain smooth interactions, “unspoken social contracts” become the name of the game. And it truly baffles ENFJs when other people commit faux pas that are so obviously avoidable. Harmony is also tuned into emotional expression (it is called Extraverted Feeling, after all). Emotional displays can cause both interest and discomfort to the ENFJ. If two people are fighting with each other it can be both embarrassing and captivating. This means there’s always a draw toward the dramatic, but also toward reconciliation. When Harmony is well-developed and healthy it becomes a master of healing discord. Conversely, the more toxic and unhealthy the Harmony user the more they’re just looking for the next hit of drama, not particularly caring about reconciling. This is why ENFJs can span the range of regal state diplomat to basket-case Drama Queen. Obviously at low states getting other people’s needs met stops being a priority. This is the sign of an ENFJ in deep depression. If you’re an ENFJ, the Harmony process both crosses and supports you. It supports you because it’s your natural super-power-flow-state and the thing you do better than anyone else of any other type. It crosses you because it’s SO tied in with cultural norms and what’s appropriate it can encourage you not to develop your Co-Pilot process of Perspectives. Perspectives is an intuitive process (Introverted Intuition). 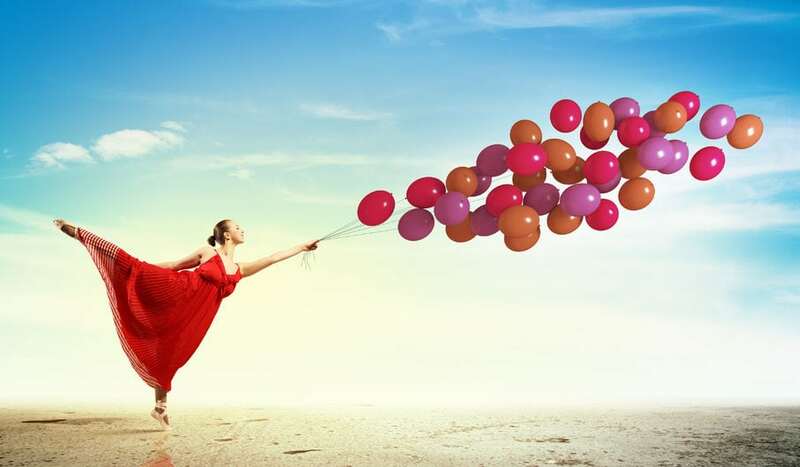 Using intuition as either a Driver or Co-Pilot process is found in only 25% of the population, and as we’ve discussed elsewhere the world usually falls somewhere between dismissive of intuition and downright hostile. If you pick up over and over again that other people aren’t particularly friendly to your intuitive side it’s going to be really easy to pretend like it doesn’t exist – at least for other people’s sake. And that means there’s a part of you that no one really gets to see. You may have noticed a lot of one-sided relationships, where you understand the other person completely but they’ve only scratched the surface of who you are. And when you start showing them that side they act like, ‘Who is THIS person?’ So you quietly put that part of you back to bed. And this is where the Monkey Mind starts to truly surface. Perspectives is a deeply introspective process that considers long-term implications as well as meaning and significance. It’s a sloooow process, requiring a lot of quiet alone time to be at its best. When you get feedback that it’s not okay to go there, you stop exercising your ability to slow down and think things through with intention. You lose (or never develop!) the ability to be patient. And you seek solace in Perspective’s polar opposite process, Sensation (your 10 Year Old process). As mentioned, when Sensation is done well it’s about being in the moment, responsive to stimuli and adrenaline-oriented. If you get into the habit of skipping your Co-Pilot process and substituting it with Sensation your attention is now pulled by every little shiny thing. Also, remember that your Sensation process is roughly at 10 years old, meaning that it will manifest itself in typically self-indulgent 10 year old behavior. As an adult that can be dangerous, since grown up over-indulgences can involve alcohol, substance abuse, sexual addiction as well as food. This is the part of you that also makes you the life of the party and crazy fun, so don’t let it go completely. (Honestly, you couldn’t even if you wanted to.) But it can’t be taking over for ‘front seat’ adult decisions. Give more precedence to developing your Perspectives process, and allow Sensation to come out when it’s appropriate. How do you develop the Perspectives process if Sensation has you by the grip? The easiest way is to hypnotize Sensation while working on Perspectives. If this is a new idea to you, I recommend this simple version – a long, hot bath. Water quiets Sensation, and allows you some time to do high-quality thinking. Feel free to listen to a podcast, audio book, a meditation or binaural beats. Whatever gets you in the deepest parts of your mind for some true inner exploration. When you “level up” consider running on a treadmill or elliptical, both deeply hypnotic for Sensation. This frees the Perspectives process enough to produce profound thoughts as well as having the added bonus of cardio. And eventually disciplines like yoga and deep meditation are great. Yes, the more you develop Perspectives the more you’re going to be saying stuff that other people find ‘weird’. It might even feel ‘off’ or wrong to you. This is where you need to focus on quality over quantity. When you don’t take the time to develop and broadcast your intuitive side, you can end up being “lonely surrounded by people.” When you DO take the time to develop Perspectives and express your true self to others there’s a much better vetting process for finding ‘your people’, your tribe. There may be fewer friendships, but they aren’t one-sided. And that’s real connection, not just synthetic little hits. 1) A lot of what we think of as ‘women’s intuition’ is actually the Harmony function’s ability to “read” people, interactions and a crowd. You have this ability, it’s not reserved for women. 2) A lot of stereotypes about women being so “emotional” are really reflections of the misconceptions people have about the Harmony process, and so there is a lot of space given for women to use Harmony (since it’s expected). Men who use Harmony get no such space. Here’s another bonus when you develop Perspectives: you’ll being taken for granted a lot less. Harmony people – if they’re not depressed and self-destructive – often work tirelessly to meet other people’s needs. When you combine Harmony and Perspectives together you get the super power of knowing people’s needs even before they do, and generally meeting those needs even before the other person asks. This is amazing, awesome and totally taken for granted. Usually people only notice when you haven’t met their need (since they’re so used to you doing so), and that means feedback can take the form of criticism, which is crushing. Positive feedback is imperative for an ENFJ, and you can find yourself in a loop of trying to meet other people’s needs even more (if that’s possible) to get that feedback. Perspectives forces you to slow down and go inward. That means you remember who you are internally, that you have unique identity separate from others and that you’re part of “everyone” when getting everyone’s needs met. It also means you’re focused on things being sustainable since Perspectives future paces and can anticipate breakdowns. To continue serving others you have to get your needs met. The less healthy the ENFJ the more they focus on drama rather than reconciliation, shiny objects over self-reflection, and the more they’ll spin into a depression that the Harmony process can’t manage. Once this happens, the Accuracy 3 Year Old starts to take over the wheel of the car. 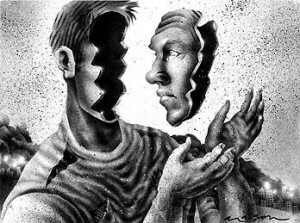 Have you ever found yourself in a black hole of self-criticism? Just an incessant, constant stream of self-loathing and hateful self-talk? That’s the Accuracy process at its absolute worst. Accuracy is meant to be about trouble shooting and spotting incongruities, finding problems without making it personal. But as a 3 Year Old process it doesn’t have the sophistication to be dispassionate. You’re always personal, and so Accuracy becomes a weapon you turn on yourself. If left in this state for too long the weapon can be turned on other people. But if that’s the case it’s a sure bet that the constant self-criticism preceded it. There’s a pretty simple hack for this: let your Accuracy process get some attention, but control the mechanism (as opposed to being controlled by it). A great way to do this is to refuse all social interaction for a time and do something that challenges you mentally, like a puzzle. Sudoku and crossword puzzles are great, as is Solitaire or simple video games. Don’t do anything too complicated (since this is designed to be R&R), but make sure no one else is around. Accuracy is Introverted Thinking. Give yourself permission to keep doing it until you feel like yourself again. When an ENFJ is truly at their best they are incredible people: leaders, morale-boosters, teachers and the diplomats of people and new thoughts. Most of the world only knows who Eckhart Tolle is because Oprah Winfrey, an ENFJ, introduced him. If you’re an ENFJ, please fully embrace your intuition. You can be a powerful bridge between Sensors and iNtuitives, an ambassador between what’s socially acceptable and what is possible. In this way you’ll find what’s truly satisfying. You’ll find quality (not quantity) because you will be quality, at the top of your game. If you’re lucky enough to have an ENFJ in your life, the most important thing you can remember to do is give them tons of appreciative feedback. It’s not your job to remind them to get their needs met, but it certainly doesn’t hurt. I’m in a relationship with an ENFJ who has gone into depression and is isolating himself completely. I am an INFJ and we are long distance, but is there anything I can do besides giving him space to help him out of this? I enjoyed your ENFJ description a lot. Thank you especially for the practical advice! “Hypnotizing” Se for better tapping into Ni is a brilliant piece of advice in my opinion. My first attempts to do meditation were a crazy explosion of “monkey mind” ?…. It still takes great effort for me to get a grip on the monkeys. I therefore find walking meditation very suitable for ENFJs btw…. 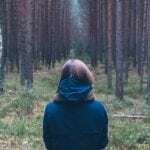 (Check out “the wander society” by Keri Smith for tapping deep into your Intuition without having to go all zen, dear ENFJs…. ?) Also knitting and drawing as well as gardening does the hypnotizing trick for me. While keeping the hands busy, it seems so much easier to tap Ni without monkey distraction. I am very much interested to learn more about the inferior process though. I have a feeling that accuracy can trip up ENFJs in more ways than “just” the inner critic. I would love to learn more about developing a healthy 3 year old and how to use it for feeding Ni. Everything in here was so accurate for me and that is rare in these types of tests. Thank you so much for doing this. It has really helped me to know what I need to do in order to make sure my needs are being met. 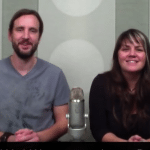 Antonia & Joel: I’m loving your site. SO much insight with deep and thoughtful ideas. I really appreciate your approach and vision for what you do. Thank you! As an ENFJ, I’ve tested very “high” in the NF cognitive functions but very mediocre on the E and J parts. This has caused me, often times, to question if I’m really an ENFJ. As a mom, I know I’ve grown and developed the areas where I’m weaker, as well as being married to someone with largely polar opposite type; these things have helped me grow in areas that are not as developed. I think I’ve realized by now not all types are similar and that we’re largely on a spectrum, right? One ENFJ is not like the other necessarily. But it does have me confused in some ways and second guessing my type. (Having tested – over 15 years ago – as an ENFP, I’m confused how I could test as an ENFJ now because the “car positions” you discuss are very different for ENFPs and ENFJs. What’s a girl to think?? Thanks so much Antonia and Joel! This is gold! 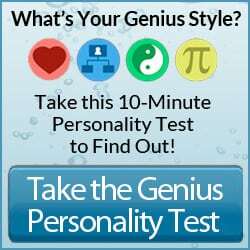 I am really enjoying the Genius system after studying the MBTI for many years now and am learning so much more about myself and my family. It occurred to me that I live with 3 people (husband and 2 children) who are all Accuracy types (INTP, ENTP and ESTP) and that is perhaps why I get so drained being around my family, since there can be high levels of conflict due to their pedantry! My Harmony type finds this really hard to cope with. 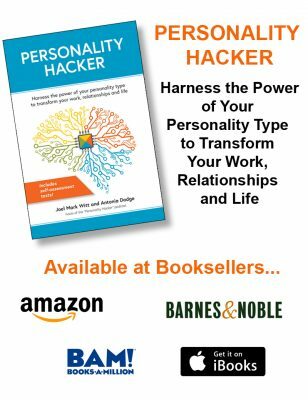 Have you heard other ENFJ or Harmony types report similar things? Does anyone else have this experience? Wow, this is positively fantastic, especially the part about Ti run amok. I’ve had type confusion for a long time, bouncing all over the place from this type to that. I finally narrowed it down to a handful of possibilities, ENFJ being one of them, and I think this is the closest fit for me. The one thing that always steered me away from the ENFJ possibility is this popular stereotype (and I don’t mean “stereotype” in a negative way) on many sites of the ENFJ as being this persuasive person who could not only command a room when he/she spoke, but who enjoyed doing so. I really have never felt comfortable speaking on a stage or platform, never been terribly interested in changing society through that mode of communication and thought “ENFJ can’t be me.” So, then I thought I might be ENFP. I read up a great deal on that type and Ne itself, while the vague doubts of understanding Ne lingered. Then I stumbled upon this site’s exceedingly *clear* definition of ENFP and realized that Ne/ENFP definitely isn’t me. Ni is me, but as you also mention, it is a slow process that requires contemplation — I hadn’t really thought of it that way, thinking that Ni dominants and auxiliaries must be these wise sages in which Ni just automatically alerts them to insights all throughout their day about things, regardless of what’s going on around them. But as fellow Fe dominants can probably attest, Fe can be very, very distracting and exhausting at times. It can separate us from ourselves, especially when we’re bogged down with responsibilities, which is par usual for Fe doms! Therefore, it takes a deliberate effort to spend a collective long time by myself to reach some sort of Eureka/Ni breakthrough — so long, in fact, that I thought maybe I was ISFP or ESFP — but Fi/Te didn’t fit me, so I was running around in circles trying to figure it all out. Then I came here! While some sites profess to focus on the cognitive functions, the proof isn’t always in the pudding. On this site, however, there is an authentic commitment to explaining type from the origin of cognition, and I find that *extremely* helpful and illuminating. Thanks a bunch! Thank you for this article! This is the most comprehensive guide to the ENFJ I’ve ever read. You really shed light on the struggle of being an Intuitive in this world! I wouldn’t change who I am, but I certainly feel out of place sometimes. Recently, I found a few GREAT friends who are all Intuitives and understand me! I love Sensors, but I never feel I can have a deep relationship with them, as you described. Nice write up. However, you did not mention how to bring sensation (10 year old) up when you have to bring it to the surface. Plus, I realised I tend to have my co-pilot perspective more in the normal state (as an ENFJ) during winter. Am I the only one with this experience? That’s interesting, Sean. I mean, the winter has most of the major holidays–Christmas, New Years, and you could include Thanksgiving, I think. Do you think the increased time with my family and friends has anything to do with it? My loved ones always bring out my true self, and I’m able to use my Perspectives side more freely. Thankyou so much for providing some more resources for ENFJs! I really resonate all this. It’s really good to understand more deeply the complicated challenges that ENFJs face so that I’m better able to meet my needs and show up as my best self for others (which as an ENFJ is really important to me!). I’ve spent a lot of time confused about whether I was an introvert or an extrovert and understanding the relationship between the Harmony and Accuracy for and ENFJ has been really helpful with this. I have felt throughout my life that I’ve had a lot of one sided relationships, trying tirelessly to meet the needs of others and receiving little positive feedback resulting in me feeling depleted and undervalued. This led me to think that maybe I was an introvert as I wasn’t getting energized through my extroverted time, which lead to further problem as I stopped using my driver process all together. Since I’ve been slowing down and trying to develop the copilot process more I have more intimate and rewarding friendships which I put my energy into rather than putting too much energy into more superficial relationships. I’ve given myself permission to meet my own needs as well as the needs of others, which has meant investing more time in reciprocal relationships (quality over quantity). It’s still very important to me to show up as my best self and be interpersonally generous to others, but I’ve realized that I can’t meet everyone elses needs all the time (I recommend “The Dance of Intimacy” and the idea of overfunctioning for other ENFJs on this point). I really related to the perfectionism that can come up for ENFJs that you mentioned on the podcast. In the past when I haven’t got my needs met using my driver process often, I’ve worked it harder and harder trying to make that happen, resulting in a feeling of emotional and social burnout. I really like the advice of entertaining the 10year old process Sensation. In my work I mostly use my copilot process and I’ve taken time to ensure that my office is nice environment, I burn essential oils and have nice tea to give me some sensory stimulation which I engage Perspectives. In my personal life, I find dance to be really good for this. Thankyou again, please keep the ENFJ resources coming! I can relate to the one-sided relationships, too. Have you read about the INFJ door slam? LOL, I think it could apply to the ENFJ, too. This is an observation about a phenomenon in which INFJs reach their sky-high limit of abuse/mistreatment in a relationship and “slam the door” on said relationship, walking away forever, or at least for a really long time until if/when said abuser sincerely changes and asks for forgiveness and a second chance. The “door slam” decision is not taken lightly by the INFJ, but does happen now and then as an exasperated last resort. I have had to do a “door slam” two times in my 40 years — one wasn’t really that hard, but the second abusive person “door slam” was very painful for me and continues to hurt. But, I stay strong and resist that urge to backpedal on my decision concerning my distancing from the abusive person, because I realized that I am not doing her any favors by allowing her carte blanche to not only hurt me, but to hurt others that I love. I also gave her an ultimatum to change her abusive ways by seeking good, professional help, and if she does so and demonstrates lasting change in her approach to her relationships, then I would consider tiptoeing back into her life, but not the other way around! There have also been times when I’ve had immediate reservations about potential friends’ motives. I just made myself vaguely unavailable and found that they slam the door on themselves eventually! I don’t like being cagey with anyone, but there are some people who approach with a darkness or hidden malevolence that sets off my Ni, I guess, so I put up my guard immediately. I consider this skill a blessing! So you quietly put that part of you back to bed. 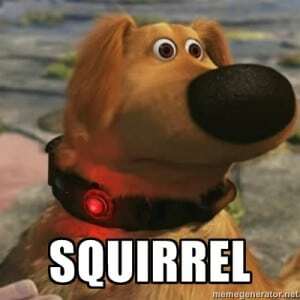 And this is where the Monkey Mind starts to truly surface. If someone can’t except me when I share who I am. I allow them to handle as much as they can of me…and they get no more. I do not at all but myself back to bed…how draining would that be. And it truly baffles ENFJs when other people commit faux pas that are so obviously avoidable. Untrue (in my experience) and captivating. This means there’s always a draw toward the dramatic, but also toward reconciliation. I am generally always embarrassed and distressed by disharmony and when people are fighting. I and not at all captivated by it, it is really distressing, especially if I realize I can’t do anything about it. When it’s me in a situation I know I can address the issue, when it’s others it’s not my business and so I can do less to assist so it makes it hard to see, not captivating. I feel like there must be some really underdeveloped ENFJs in most people’s experience. Each type shows up differently when they’re healthy or unhealthy. We go on pretty extensively about unhealthy INTPs in the INTP article, unhealthy INFJs in the INFJ article, etc. These articles intentionally give a spectrum since they’re written for people at any/every level of development. There was no intent to indicate a general lack of health amongst ENFJs, and if you’ve never experienced blending that’s awesome! Antonia, thank you for responding. No I didn’t at all think you were indicating lack of health with ENFJ’s it’s just that it’s must be true of lots of people’s experience with ENFJs because when I read about our type other places the same type of things (negatively) come up. Your site is probably the first site that discusses healthy ENFJs, so thank you for that. I generally come away from articles thinking who are these ENFJs that people are writing about. I feel lots of times we are portrayed as shallow, manipulative people. I appreciated how you presented the information, I hope I didn’t come off as defensive (although I probably did because I’ve often felt that way when reading info on my type.) Thank you for your responsible write up. 🙂 Looking forward to reading more about my type. Thank you. We’re so focused on growth here that sometimes we forget to make sure and celebrate each type when they’re at the top of their game. ENFJs are AMAZING human beings when they’re well developed. I don’t think I could even begin to understand how you guys accomplish all that you do since it appears to effortless.